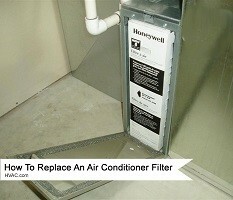 Home » FAQs » Is a Furnace Filter Washable or Should it be Replaced? Not all filters are washable, and if yours isn’t, you should replace it on a regular schedule. Your filter should indicate on the filter itself or the packaging whether it’s a disposable or washable filter. If you aren’t sure if your filter is washable or replaceable, call 855-932-4822 and speak with our support team. If your furnace filter has a MERV rating between 1 and 4, it could be a washable filter. A washable filter is typically made of nylon weave or plastic mesh material. They are effective at catching larger particles but won’t catch pet dander or particles that are small. Washable filters require maintenance once a month to keep your heating system running at its highest efficiency. Washable filters are more expensive than disposable filters, but they last for several years before they need to be replaced. Replaceable filters generally have a paper or cardboard frame around them. They also offer higher MERV ratings compared to washable filters. 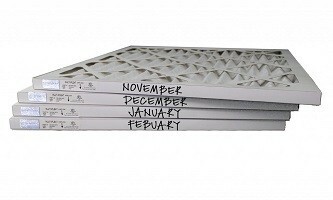 Unlike a washable filter, replaceable or disposable filters don’t require as much maintenance. You don’t have to replace the filter once a month but can wait longer between changes and still experience efficient performance from your HVAC system. Replaceable filters are inexpensive compared to washable filters, but you will purchase several new ones in the course of one year. If you do have a washable furnace filter, you might consider switching to a replaceable filter. Considering washable filters have lower MERV ratings, they don’t offer much control over your indoor air quality. They are solely responsible for keeping just your HVAC system clean and do nothing for the air inside your home. Replaceable filters come with higher MERV ratings, which trap and eliminate toxins, allergens, and other contaminants in your air. Call a qualified professional to find out if your system can use a replaceable filter instead of a washable filter. When you purchase a preventative maintenance plan from a reliable and licensed HVAC technician, your filter will be checked as part of the service agreement. The technician will know whether your furnace filter needs to be cleaned or replaced. 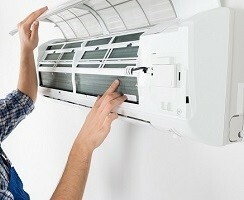 Preventative maintenance also keeps your heating and cooling equipment running smoothly by catching issues with your system before they turn into costly repairs. A clogged or dirty furnace filter will cause your HVAC system to operate less efficiently and increase your energy bill.